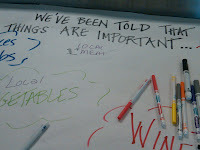 Last night's public open house drew about 30 people to mill around and scribble thoughts and suggestions about what they want the market to be on long sheets of white paper. 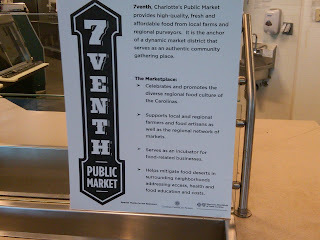 The idea for a public food market has been around for years, but now it's drawing closer to the planned October opening. For one building, the market is already holding a lot of goals. 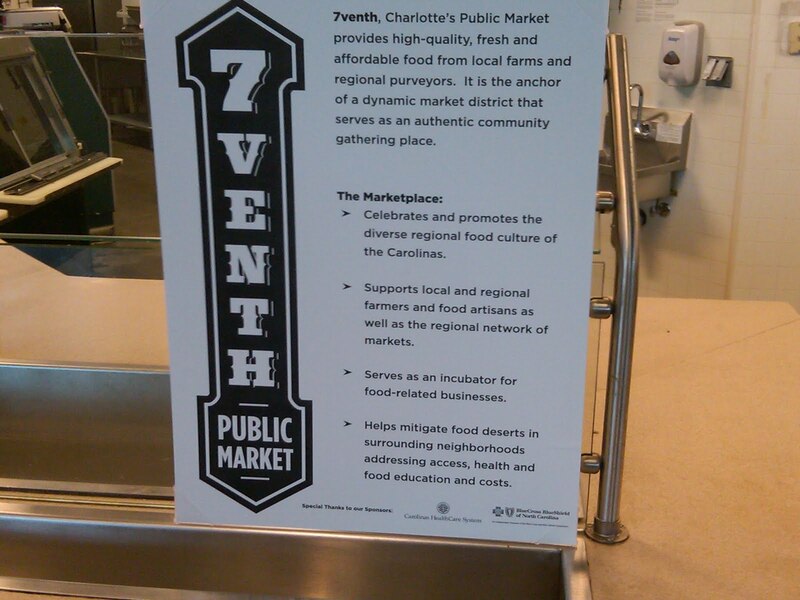 Dr. Dan Murrey ran down the list: In keeping with support from Carolinas Healthcare System, it's supposed to bring better food access to underserved urban areas and Charlotte's food deserts. It's supposed to be a business incubator for local products. 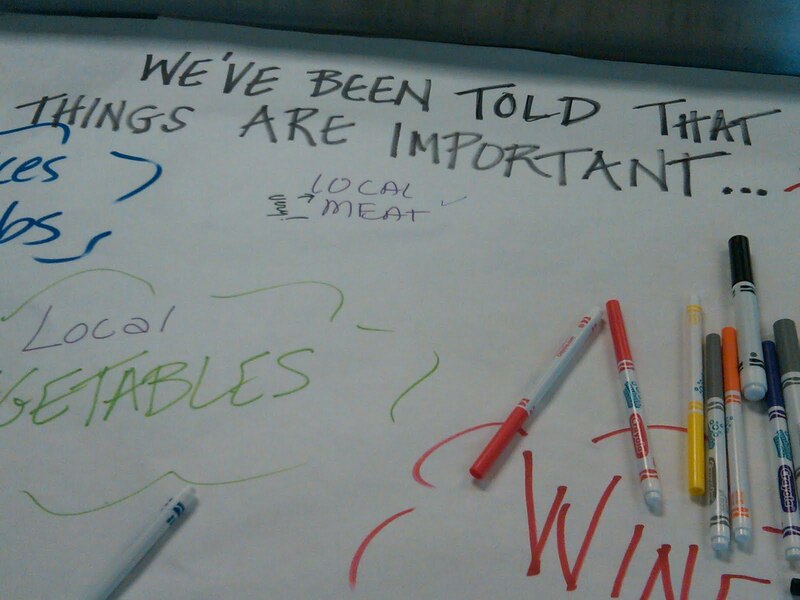 And it's supposed to focus attention on local and regional foodways. He even mentioned the idea of a library with used cookbooks. "Wine and Beer." "Oh yeah!" "BBQ (Make sure it's from Mac's.)" "Shared-Use Kitchen or Kitchen Incubator." My favorite, though, was a comment on another sheet: "Let's make the notion of 'local' disappear and replace it with 'normal.'" Now that's an intriguing thought. Have an opinion on the new uptown market? Let's play "Spot the Emeril"